If you are going through a contested custody battle, there is a very good possibility you may face a custody evaluation (also called a custody assessment). Generally, a custody evaluation may be ordered by the judge in your case. On the other hand, you and the other parent can also agree to undergo the evaluation process on your own accord. A custody evaluation is conducted by a psychologist or mental health profession who has received special training in conducting evaluations. The evaluator gathers information and interviews the parents, children, and others involved in the children’s lives. 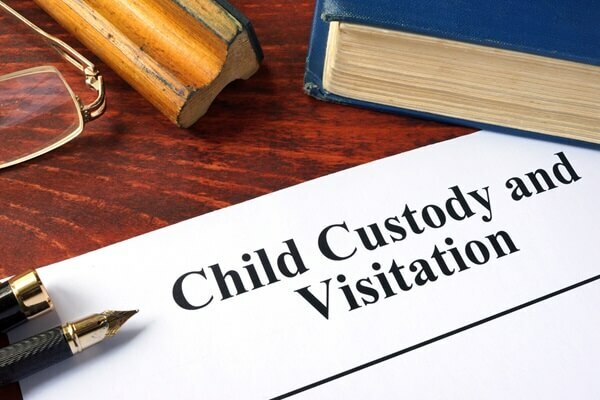 After reviewing all the information collected during interviews, the custody evaluator makes a recommendation to the court regarding custody and visitation based on the best interests of the child. The evaluator’s recommendation is often given a lot of weight by a judge when making decisions in a custody case. This is why it is so important to reach a mutual agreement with the other parent regarding custody before it ever gets to the stage of using a custody evaluator. But, if you are past that point and facing the prospect of a custody evaluation, the following article outlines the basic process and what to expect. The "process" of assessment refers to the systematic gathering of information, through a methodical plan of action. Using a medical analogy, imagine a surgeon who cuts before anesthetizing you. Process is everything! In the context of an assessment, a questionable process may undermine the credibility of the assessment, the clinical findings and the recommendations. This can be avoided with attention to the process as discussed herein. Parents involved in custody and access disputes should not phone assessors directly during the referral process. If they do, they risk the other parent will be concerned that the assessor will be biased by a one-sided version of events. Rather, it is better if the lawyer for either parent calls assessors first to determine the appropriateness of referral, timelines, costs, etc. Furthermore, the lawyer can request a copy of the CV and ask any other pertinent questions as may be necessary or of concern to their client. Satisfied that a given assessor is appropriate to the task at hand, the next stage is to seek agreement with the lawyer of the other parent for the referral to take place. Upon reaching agreement or alternately, upon the appointment of an assessor by the Courts, a lawyer should again contact the assessor and discuss data collection and payment. Receiving monies in advance and holding in trust either by the assessor or by the lawyer is suggested. Having monies upfront reduces concern that the assessor will bias the report with a view to payment. If the cost of the assessment is greater than the amount held in trust, the assessor should take action to ensure that additional monies are secured prior to the disclosure meeting or the submission of the assessment report. On the matter of data collection, lawyers should deliver the legal files and supporting documents, assessments reports, etc., prior to the assessor setting direct interviews. Having the materials in advance of meeting the parents, allows the assessor to better prepare for the content of the meetings by determining and focusing on salient issues. With the referral accepted by the assessor, monies in place and documents secured, the assessor may then call the parents and begin the formal interview process. While some parents and lawyers perceive an advantage to the sequencing of interviews, generally no advantage is actually accrued. Multiple appointments will be made and any issues arising should find opportunity for discussion over the course of several interviews. Custody and access assessments, in accordance with professional guidelines must include interviews with both parents. To do otherwise is considered a “one-sided’ assessment and hence subject to bias, the results of which will be suspect. To do otherwise can only be done on the basis of a substantial issue, supporting such action. There is also a high expectation that parents will be seen with their children and that children will be seen on their own. There is however greater latitude here with concern to the interests, risks and well-being of the children. Interviews with other informants and obtaining of other documents may take place during the process of direct interviews. Following data collection and interviews, a report is written. While some assessors may choose to release the report with simultaneous delivery, other assessors will require a four-way disclosure meeting, to present the assessment, recommendations and written report. The advantage of a four-way meeting is that again it precludes bias that may be perceived as a result of sequencing and it allows questions, but more importantly, answers to be heard by all parties at the same time, in the same manner. Subsequent to the completion of the assessment process as determined by the delivery of a report, the assessor should exercise caution with regard to any ex parte discussions to limit concern or advantage by one party over the other. Few disputes reach the level of intensity as contested custody and access disputes and few professional activities garner more complaints to professional bodies as these assessments. It is in everyone’s’ best interest to adhere to assessment processes that mitigate the perception of bias and thus maintain the integrity of the entire assessment.